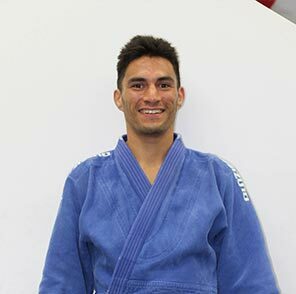 Mark Hidalgo has experience in wrestling, Judo, and Brazilian Jiu Jitsu making him an extremely valuable and rare coach. Mark started training Judo in 1997, was awarded his black belt in 2004, and has International competition experience. Mark is a brown belt in Brazilian Jiu Jitsu giving him excellent ground work in addition to his arsenal of Judo throws. Mark trained Judo at the world famous Kodokan in Tokyo, Russia, Brazil, all over Europe and the Americas, bringing a worldwide perspective of Judo to JiuJitsuPedia. Mark is a very patient coach and prides himself on being able to break down the complexity of Judo.